Ingraham: Massive Demographic Changes Have Been Foisted Upon America And Most Of Us Don't Like It - Joe.My.God. “In some parts of the country, it does seem like the America that we know and love doesn’t exist anymore. Massive demographic changes have been foisted upon the American people, and they are changes that none of us ever voted for, and most of us don’t like. From Virginia to California, we see stark examples of how radically, in some ways, the country has changed. 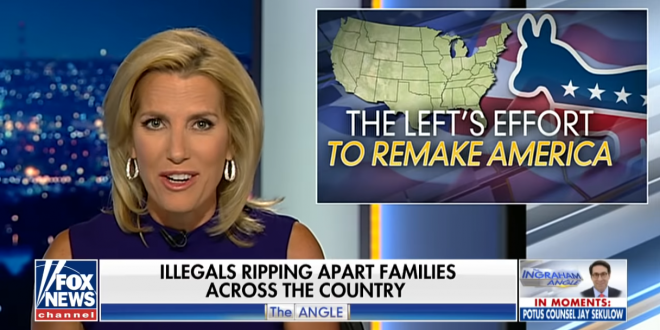 Now, much of this is related to both illegal, and in some cases legal immigration that, of course, progressives love.” – Laura Ingraham, speaking on last night’s show.